A sharply tailored dress by Hugo Boss, created in Italian virgin wool blended with stretch for comfort. With a grosgrain structure and contrast fabric to accentuate the waistband and notch neckline, this feminine dress is fully lined and fastens with a concealed zip at the back. 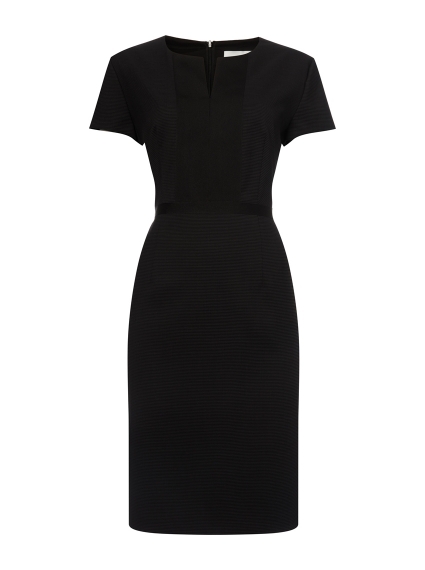 Wear this elegant shift dress with opaque tights, high heels and the matching eriba Jacket for a professional look.